Nobody wants to feel that they can’t manage the rigours of everyday living. However, that can be an issue if you or a member of your family is disabled or ill, and increasingly becomes an issue as you/they get older. The important thing is to do everything possible to maximise independence – help from a carer or carers can make that possible. (With Personal Budgets, you may be able to get funding for this from your local authority.) You may wish to use the services of a homecare agency. That has the advantage that they take care of the administrative details, but you don’t get to choose your own carer, and of course it costs quite a bit more. If you employ someone directly, you get to choose the carer, and the cost will be considerably less. However, taking on a permanent carer comes with the responsibility for the payroll, PAYE and NI liabilities and all the related administration as an Employer.It can be onerous and complicated – for example, under rules called Real Time Information (RTI), every Employer has to make a submission to HMRC online each time that the Employee gets paid. So for example, if your carer gets paid every Friday, you have to submit your pay and tax details to HMRC every Friday. And if you don’t, you may be fined. 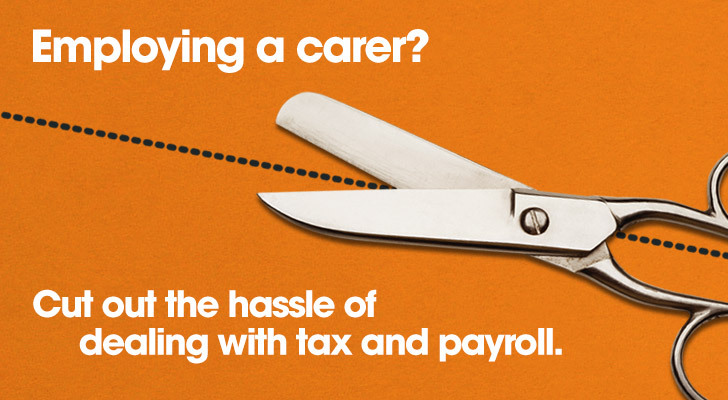 At Taxing Carers, there is a service to take care of all of this hassle for you. You can avoid the potential nightmare of battling through forms and calculations, having to submit them in real-time, paying the wrong tax, getting fined for late submissions, dealing with the taxman etc. And issues like holiday pay, sick pay, contracts of employment will also be dealt with. Taxing Carers is a specialist payroll service that has helped thousands of home employers like yourself through the tax minefield. From just £25 per month* (including VAT) we will take care of everything related to the carer’s tax. And, of course, the same applies to the tax issues for any other people you employ. Taxing Carers is one of the original specialist payroll agencies for home employers, established since 1995. We care not only about providing a quality service but also about being there for you. We have a very high ratio of staff to clients and are led by Sara Graff, a Chartered Accountant and Member of the Institute of Taxation for more than 25 years. The service is highly personal, responsive and efficient. Just fill in the online form here, and your carer tax worries are over. * If your carer is paid weekly, our charge is £35 per month. If fortnightly, £30 per month.